FWS is taking comments regarding listing five species of snakes (Boa constrictor, Reticulated python, DeSchauensee’s anaconda, Green anaconda and Beni anaconda) as injurious under the Lacey Act. This would ban interstate transportation/commerce and importation. Essentially, these species would vanish from the pet community and you may lose your freedom to keep them as pets. Remember to be professional and civil with your comments. These species were not included in the 2012 rule and remain in limbo as the rule has not been finalized. The rule previously listed Burmese, Indian, Northern/Southern African pythons and Yellow anacondas as injurious. USFWS is re-opening comment in response to USARK’s legal arguments that the original 2010 proposed listing was “stale” due to new scientific information. 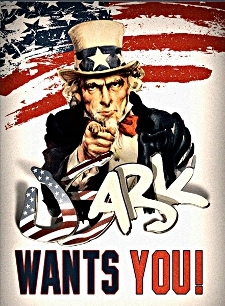 USARK will be submitting detailed comments in response and will provide talking points for others. We will provide updates and additional information soon. Electronic comments must be submitted at www.regulations.gov/#!submitComment;D=FWS-R9-FHC-2008-0015-4570. The Federal Register announcement can be viewed at www.usark.org/wp-content/uploads/2014/06/Constrictor-Rule-Register-6.24.14.pdf. We are seeking new information from the public only for five mentioned species. Comments on other species will not be considered. FWS has requested comments or information from government agencies, the scientific community, industry, pet owners, small businesses or other interested parties concerning the proposed rule. Desired information includes, but is not limited to, the biology of the five species, existing regulations that apply to the five species, the economic effect on wholesale, retail and ancillary sales, impairment to educational activities and any other information relevant to the proposed rule and associated documents.The March 12, 2010 proposed rule (75 FR 11808) and other information is available online at www.regulations.gov/#!docketDetail;D=FWS-R9-FHC-2008-0015 or from the South Florida Ecological Services Office. On June 23, 2014, the U.S. Fish and Wildlife Service (FWS) and Interior Secretary Sally Jewel filed a reply to USARK’s opposition to the Government’s motion to dismiss its challenge to the Lacey Act listing of the Burmese python and three other non-native species of constricting snakes. This is FWS’ second attempt to have USARK’s case dismissed. In February 2014, the Government filed a very similar motion. It alleged that UASRK’s challenge to the snake listing’s prohibition on transportation of the listed species and ban on interstate commerce within and among the continental states as contrary to the Lacey Act was time-barred. Specifically, FWS argued that a 1965 regulation imposed these prohibitions, and thus USARK’s challenge had not been filed within the six-year statute of limitations. The Government also claimed USARK did not have sufficient conservation interests to give it standing to raise the National Environmental Policy Act (NEPA) in its claims. The Court did not decide any of these issues. Instead, it allowed USARK to amend its complaint. The amended complaint was filed on May 9. In particular, USARK made it clear that it was not only challenging the transportation ban, but also FWS’ interpretation of the law as banning all shipments and commerce of the listed species in the continental states. The Government overlooked this claim in its initial motion. The Government’s arguments in its latest motion essentially mirror those made previously, as did USARK’s opposition. In particular, USARK noted that FWS has never interpreted the Lacey Act language prohibiting the importation and “shipment between the continental United States, the District of Columbia, Hawaii, the Commonwealth of Puerto Rico, or any possession of the United States” of listed species. Rather, the regulations simply mirror the statutory language. In its reply brief, FWS continues to insist this challenge is time-barred. With respect to the argument that, by its plain terms, the shipment prohibition only applies “between” the continental states and the other listed jurisdictions, the Government did not argue that its regulations contained an interpretation applying the ban to transportation between all states. Rather, FWS pointed to prior Lacey Act listings where it purported to ban interstate transportation of particular “injurious” species. This is the first listing of species commonly kept as pets and that have a large economic impact for small businesses, so the issue has never been raised. As to the NEPA claims, FWS continues to press hard to convince the Court it should not hear USARK’s arguments. Its strenuous opposition is likely motivated by the strength of USARK's claims. The Service did an entirely inadequate environmental assessment, as USARK pointed out in the legal memorandum it provided in April of 2013.As it did before, the Government focuses on the industry’s economic concerns, while downplaying its conservation, environmental and educational activities. USARK’s Lacey Act claim regarding interstate transportation of listed species is challenged by FWS as time-barred by the 1965 regulation. Our claim is that we are challenging the 2012 constricting snake listing, including transport prohibition, which is clearly timely. The most important element of this claim is the ban on transportation and shipment of the listed species within and among the continental states (lower 48 states and Alaska). Since the regulations merely repeat the words of the statute, the Court is entitled to determine if the law gives FWS the power it claims. The Service should not be successful in claiming that the ban on interstate commerce of Burmese, Indian, Northern/Southern African pythons and Yellow anacondas is time-barred by similar prohibitions in other specific listings. It is important to note that even if the Court agrees with the Service that these claims are not timely, it would only delay the ultimate decision. As the Government concedes, USARK could petition the Agency to repeal the 1965 regulation. Once denied (presumably), the same claims could be raised in a subsequent suit. As to USARK's NEPA claims, we have made a sufficient showing of conservation interests for this stage of the litigation. The hurdle to show standing at the motion to dismiss stage is lower than when the merits are briefed. While USARK believes it has provided enough evidence even for the merits stage of the case, it plans on submitting additional affidavits and evidence to support its NEPA standing. We will keep you updated and greatly appreciate your support as this process continues. This is about much more than large constrictors and much more than reptiles as pets. This should concern pet owners of any species, be it fish, reptile, bird, tarantula, amphibian or mammal. Horribly bad science was used to remove our freedoms and this is a clear case of government overreach. The latest filing can be viewed at www.usark.org/wp-content/uploads/2014/06/FWS-Reply-Brief-6.24.14.pdf. The raffle ends July 4th and one person will win over $35,000 in prizes! Buy tickets and check out what you can win at www.raaca.net. Also, be sure to visit and join the Reptile And Amphibian Charity Auction (RAACA) page at www.facebook.com/groups/RAACAUCTIONS to stay updated and get some intermittent comic relief. A huge thank you to all involved from USARK, including Jordan Russell, Myke Clarkson, Houssam Istanbouli and the sponsors: Freedom Breeder, BHB Reptiles, The Reptile Shop, SC Constrictors, The Boaphile (Jeff Ronne), TSK Feeders and Herp Nation Media. Summer Croc Fest: June 28 at Carl Barden's Reptile Discovery Center/Venom Lab in Deland, FL. This event will raise funds to help save the critically endangered Gharial and the critically endangered Philippine crocodile. Get more details at www.facebook.com/SaveTheCrocodiles. Thank you to the organizers: Colette Adams, Curt Harbsmieir, Shawn Heflick and Flavio Morrissiey.